Every day social innovators and social innovation organizations across the country are measurably impacting communities and individuals. This Practice to Policy blog series lifts up the voices of the more than 70 organizations that make up the America Forward Coalition and our broader social innovation network by highlighting their outcomes-based solutions to our country’s most pressing social problems and why these solutions must be reflected in our federal policies. 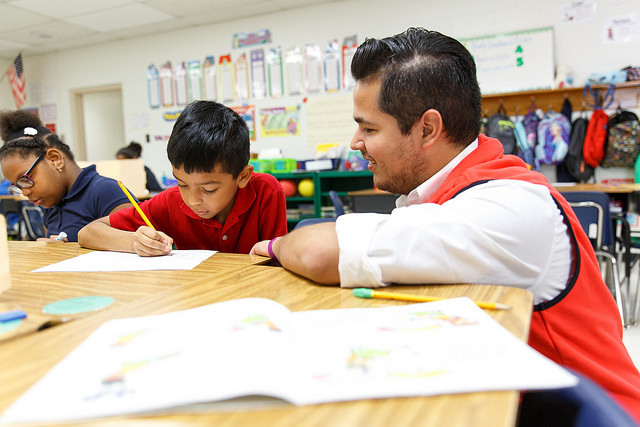 Today, America Forward Coalition organization City Year writes about the importance of partnerships to support school improvement efforts, particularly within underserved communities. Districts and schools can leverage partners in ways that align with district goals, priorities, and vision for promoting social, emotional and academic development in students, as well as help fill existing gaps in services. For example, some partners may help meet intensive student needs through case management supports; some might bring valuable supportive relationships to struggling students in school communities, and others can provide high-quality professional development.